Our Tavarua Basics Bamboo Shades are poised, stylish, and simplistic. This particular bamboo shade is the ideal choice for chic, easy style and quiet confidence in your décor. This bamboo blind is also an economic alternative to our other Tavarua woven wood shades, without compromising quality or beauty. 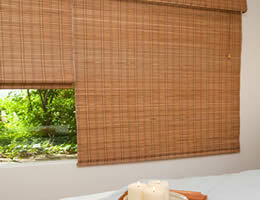 All tavarua bamboo woven wood shades are incredibly environmentally friendly and this particular blind is no exception. 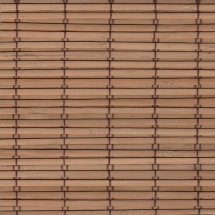 These Tavarua Basics Bamboo Woven Wood Shades are pesticide and chemical free. 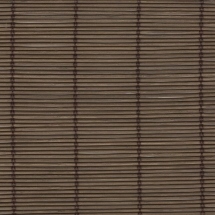 The texture and feel of these inexpensive bamboo blinds resemble the feel of nature. 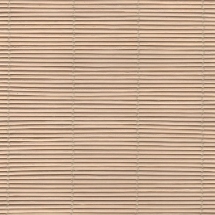 Made from strong bamboo wood and stringed using high quality materials, this shade protects the environment and adds a unique look to your window. Ideal for areas where some shading without complete privacy is desired, these roman fold shades are woven to gently filter light. 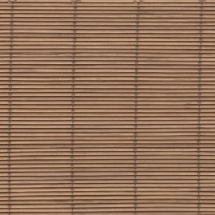 Several upgrade options are available for this bamboo shade. You can add an edge binding to prevent fraying and add an elegant look. The blackout liner upgrade will give you complete privacy and block the light trying to enter your window. Our movable roman liner allows you to have two shades in one. You can easily raise and lower the blackout liner. 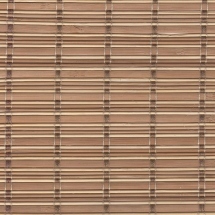 Top down bottom up is also a popular upgrade option for this particular bamboo shade. Click on the upgrades tab below to see all options available including detailed descriptions of each. Order free samples today and feel the material and see the quality for yourself. Several beautiful colors are available. Edge binding color samples can also be ordered for free below. Note: This product is currently taking up to 5-6 weeks for delivery. I prefer no lining. Do you offer bamboo woven no lining? Yes, we do. The pricing you see online is pricing without liners. The liners are an additional charge and must be selected when designing your order. Hello, can the bamboo shades be painted? Thank you! Yes, they could be painted. We suggest that you prime prior to painting. Are bamboo shades suitable for outdoor use? Unfortunately, none of our shades are made for outdoor use. They are fine in a bathroom window as long as they are not in constant direct contact with water. The bamboo fabric is treated with a sealant but as with any wood that can break down overtime when in direct contact with water. Also the headrails are made from raw wood and will not hold in direct water and the components may rust. We have some products that are suitable for high moisture but not direct water like a shower head. I love our new bamboo shades. I love our new bamboo shades. Great quality and easy to install. I will order more for other areas. I've order others shade/blinds but these are by far the easiest to install and best looking. Blinds fit perfectly in the measurements I provided. Blinds fit perfectly in the measurements I provided. Love the privacy added to my screened porch and welcome back some shade. Love these shades for a fraction of the price that competitors sell them for. Love these shades for a fraction of the price that competitors sell them for. They are well made, very functional, and look great. Fantastic product. Exactly what I needed and the dimensions were spot on. Great customer service and shipping was very fast for custom shades. Fabric color on either a blackout or a privacy liner. Liners are designed for privacy as well as light control. Liners are white towards the window side of the shades with the color selected towards the interior of the home.